Admirers of simplicity and elegance will appreciate the proposals for gifts we have picked out for your men among the rich offer of Zagreb crafts. We have also taken care of those more demanding who will not be satisfied with leather items, so we believe that you will find something for anybody. For generations, craftsmen’s diligent hands have produced leather accessories that will not leave indifferent any man. If you want to give a high quality leather belt, wallet, bag or shoes for these feasts, head to the centre of Zagreb to peek into these cobbler’s shops. Damir Korman has took over the family craft Korman Shoes and continued to make shoes and leather accessories. You will find his models in Petrinjska 29 where you can always refer to him and make an order according to your idea and wish. The centre of Zagreb, in Ilica 21 houses the Zlatko Shoe Shop, specijalised for production of customised men’s shoes or shoes in small series. 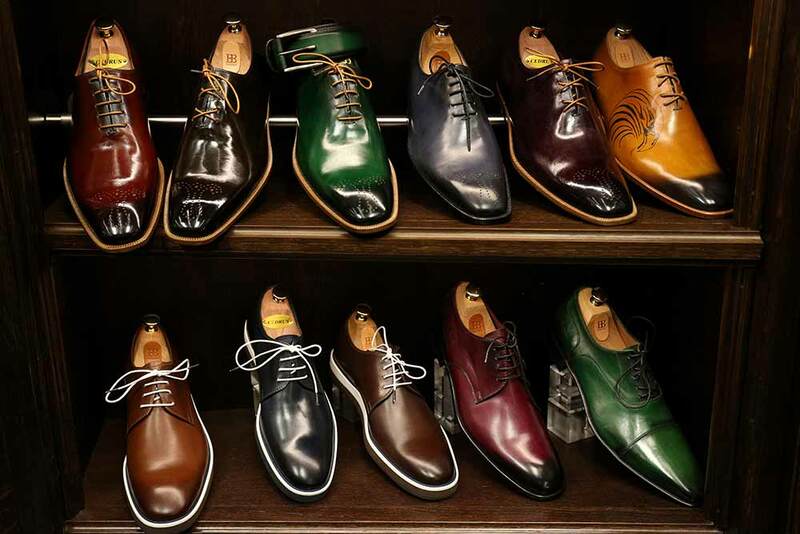 Unique men’s shoes are mostly demanded by foreign visitors, and the shop focuses on export to Italy where they are just adored. Alojz Strugar and his son in their craft Strugar Shoes create models that are well known on the shoe-making stage of Zagreb. Except in Ilica 33 in Zagreb, their shoes can be also bought in Belgrade. As he says, he also rejoices when Italians, who are known for their fashion aesthetic, choose Strugar shoes. 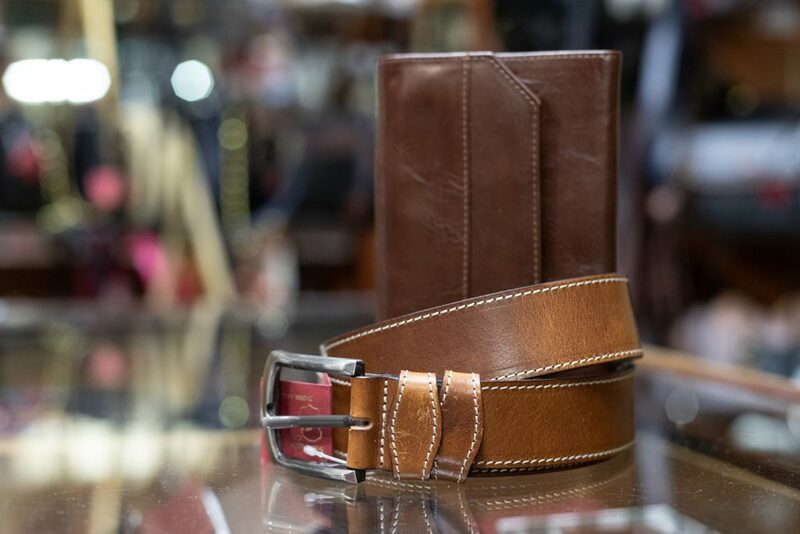 To find men’s leather belts and wallets, go to the Mladen Jagušt haberdasher in Ilica 12 where you will be delighted at the classical leather items. Bermet and Muštarda of the Filipec family have become an unavoidable part of the gastro offer. Bermet, Samobor’s traditional aperitif done according to the original recipe is a unique gift for all lovers of exquisite drinks. For those who select short and hard drinks instead of aperitif, Dijana Smoljo and her Klupica have a wooden stand for rakija glasses where you can write a message you wish. At Klupica, you can buy wooden boxes with the impressed symbol of the favourite football club, in case you are giving the gift to an addicted football fan. Miniature figurines of music instruments and musicians are so popular that people increasingly choose them as a gift or souvenir. 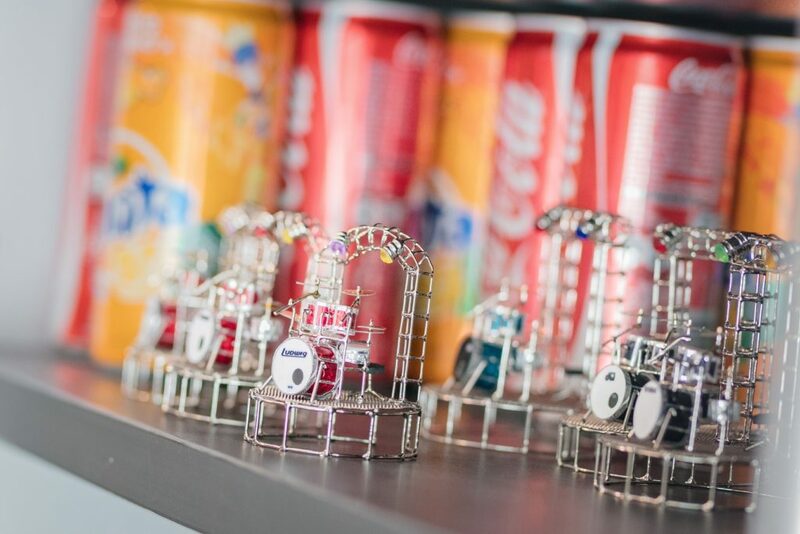 Small figures in Goran Maretić’s cans also represent some world’s stars such as Bruce Springsteen and Eros Ramazzotti, which is a reason more to read the Sounds Mini offer.